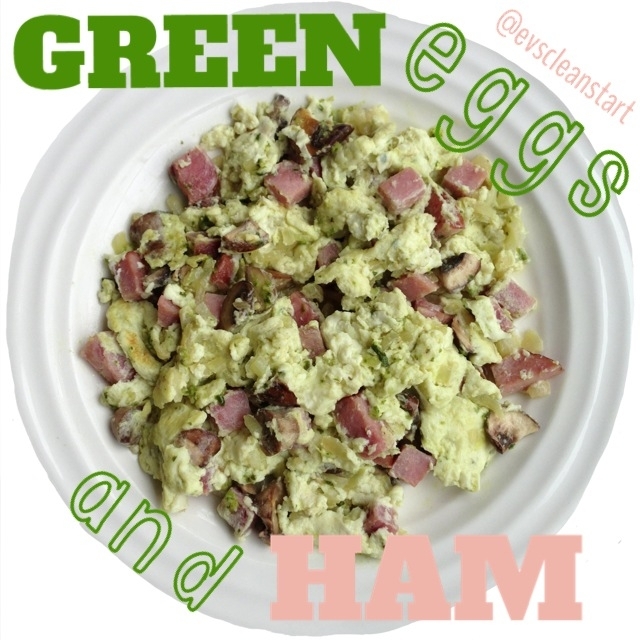 I do so like green eggs and ham...thank you, thank you, Sam-I-am! 1. Saute diced onion, sliced mushroom, and chopped ham in olive oil. 2. Pour in egg whites and pesto sauce.